What the heck is an Instagram Takeover, you ask? It’s where someone other than the original account owner runs the account for the day. 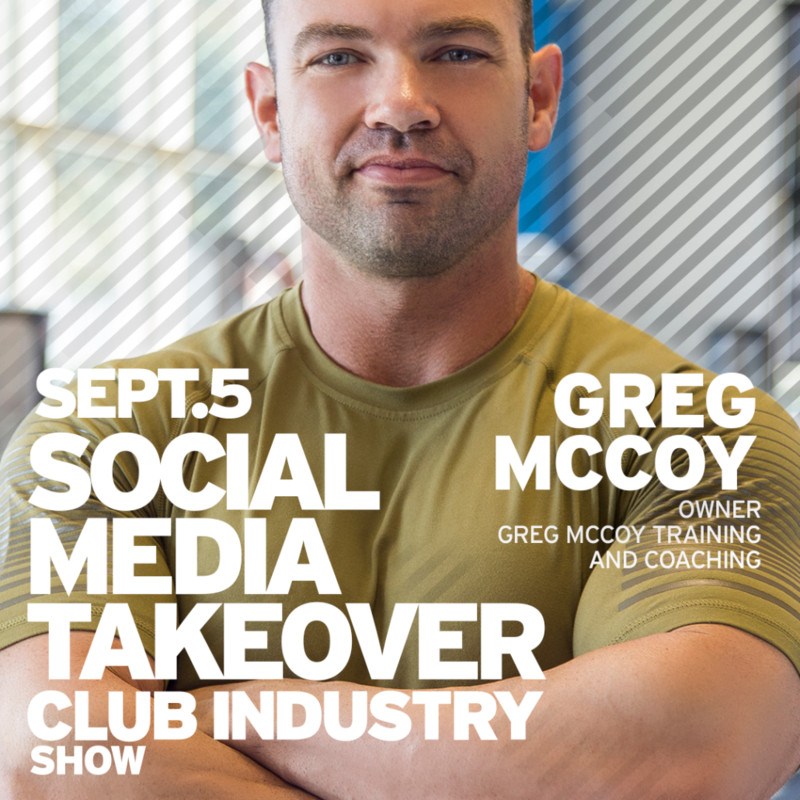 In this case – I was given the reigns to the Club Industry Instagram Account for one day to make posts and primarily, put content in the Instagram Story section of their account. Again, if you’re new to this, an Instagram story was Instagram’s answer to Snapchat a year or so ago and they are 15-second videos or pictures that only last on the account for 24 hours. It’s a fun tool to cross-promote between accounts. In this case – I advertised in my media channels that I would be taking over the Club Industry account, which gives CI awareness to my audience, many of whom were not following CI. On the flip side of that – all of the fans and followers in CI’s community were exposed to me and my message leading up to and during the takeover. For this takeover, we were focused on driving information about the upcoming Club Industry Show in Chicago. I believe this is a dynamic that will not only be commonplace but will be required by speakers and keynotes as event marketing evolves. Big tradeshows and magazines were once the center of their communities. Consumers and industry participants accessed information through these platforms (tradeshows and magazines). Since the emergence of social media, people now consume information directly from their favorite sources. Where they once read or listened to their favorite authors and speakers in Club Industry Magazine or at Club Industry Show, they now follow those people directly. Speakers in the past just needed to show up and present their content because Club Industry brought the community. Now I believe the roles of speakers are not only to bring the content but also to take an active and leading role in driving the events. As someone who wants to pursue speaking and presenting in the future, I believe I need to position myself to not only provide great information that genuinely helps the audience I am in front of, but that I need to create excitement, buzz, engagement, grow the community of the event promoter, and drive traffic to events. In case you missed the takeover, check it out here! One of the fun things about takeovers is seeing a glimpse into people’s days or where they live. I thought it would be cool to go on a “mini tour” of Dallas gyms, while giving some tidbits of information that were related to my speaking topic at the event. Owned by my friend Brian, this is a really cool place to train. At Paradigm, the next event marketing tip was to set your goal. You have a defined audience with a specific goal in mind. If you want to drive in new traffic, provide a good experience for a certain segment of your member base to help with retention, create a revenue stream, or any other strategic goal. Badass training spot. They recently underwent some renovations and it’s AWESOME in here. You can do CrossFit, Boxing, Jiu Jitsu, or just about any kind of athletic training here. Use this code when buying your tickets to save $75 on an All Access Pass!! I love this place. Powerlifting, Olympic Lifting Gym with a strong young community. The event tip passed out here was about spreading the word for your event. This is an ACTIVE process, not a passive one. Making a poster isn’t promoting. That’s a bare minimum information tool. Get on the phones, beat the streets, get people to the event!! Co-Owner and CEO Steven Salmon is a longtime friend of mine and we stopped by during the move-in process of their new HQ. In a fitting example, I talked about the importance of event partners. MAN Sports, as an example, has been a great event supporter of mine for quite a few years now. Provide value to your partners and they will provide value to you and your event attendees! This is the gym where I train my own one on one clients. A cool private spot in west Plano. Important info for those attending: make sure you take advantage of available CEU credits when you attend my session! My course counts for CEUs for both ISSA and WITS! Really nice Hot Yoga Spot in Frisco, TX and a great group of people here. The final event tip of the day was about having a strong follow up. Take time to thank your team, any volunteers, your event partners, and those that attended the event. https://gregmccoy.net/wp-content/uploads/2019/01/CI18_Instagram_GregMcCoy_Single_1080x1080-1.png 1080 1080 Greg McCoy /wp-content/uploads/2018/12/logo_large.png Greg McCoy2018-09-05 03:49:212019-01-26 03:58:35Club Industry Instagram Takeover!